When you wish to purchase furniture for yourself, you need to pay the entire costs upfront. Of course, you can opt to avail from financing through Credit Card EMIs/ personal loans, but that also costs you additional costs in terms of interest most of the times. Instead, when you chose to take furniture on rent, instead of EMIs, you choose to pay RMIs (Rental Monthly Instalments), wherein you can opt out of the same at any moment and thereafter you won’t have any financial liability, subject to certain conditions. Changing jobs across cities have been seen as a tiring exercise especially on personal front with the family required to shift their base. With the continuously expanding city areas, this may happen sometimes that even for a job change within the same city, one may need to shift their homes. 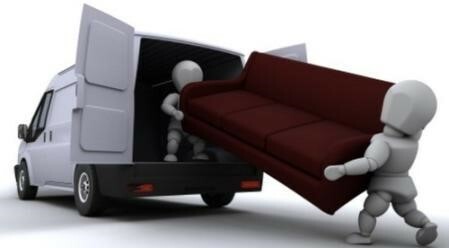 Along with the family, one needs to shift their personal belongings and furniture to their new homes in the new city. While this costs you through packing and transportation costs, the transit damage cannot be ruled out as well. Renting the required furniture items and appliances helps you save on such costs as you can surrender the existing furniture in the current city and subscribe the rental plans in your new city. This can certainly not get simpler than this. When you are not changing your location or home, amidst rapidly changing technology and tastes lies the risk of you getting bored with your current furniture and appliances. However, since you have already spent a lot on your belongings, you have no other option but to use the same furniture and appliances. This is where rented furniture and electronic appliances help. This new business model of leasing of furniture and electronic appliances has been gaining momentum with Rentomojo being the first mover into the industry with such a business idea. It allows you to opt for rented furniture, appliances, and even bikes. It also comes with easily customizable packages for combo plans and varying tenors. Further, once you enrol for RMIs for longer tenures, the rental costs also start coming down. And the best thing here is that you can change your mind anytime thereafter with no significant costs. So, all it takes is a small security deposit and your KYC details to get started. It didn’t take much time for Rohit to get convinced. RMIs stand out to be a much convenient option instead of getting burdened with the load of EMIs. So, just like Rohit, play smart and subscribe for RMIs with Rentomojo.